Our goal at Gadget Bargains is to offer a wide selection of the latest gadgets at BARGAIN prices.. Every product is even further discounted when you purchase 2 or more of same product! Ordering Gadget Bargains.com is also easy. 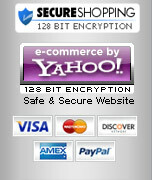 You can order on-line via our secured shopping cart or off-line via phone, fax, or mail. We know there are many gadget web-sites for you to choose to visit. It is with this in mind, that we are determined to offer you a selection that you will not find anywhere else. We are also here to help. If you have any questions, PLEASE email or call us. Gadget Bargains is a subsidiary of Future Memories, Inc.
We are always trying to improve our products and performance to better serve you. If you have any new product suggestions, product improvements, web-site enhancements, or any other suggestions or comments we would love to hear from you! Please contact us via our web form (choose "Ask a Question" and login - you'll have to create a user account if you haven't used our system before).